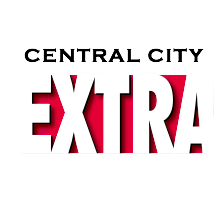 This article, written by Tom Carter, was originally published in Central City Extra's September 2015 issue. You can find the paper distributed around area cafes, nonprofits, City Hall offices, SROs and other residences, as well as in the periodicals section on the fifth floor of the Main Library. In the sunlit Curran House courtyard, 13-year-old Nada Kaid sits with her mother, Nabihah. Muslims from Yemen, poorest of the Arab countries, they wear traditional dress. Away from Curran House, it causes them some grief. Nabihah’s chador is a black robe that covers all but her face and hands. Nada wears separates of lighter dark colors, highlighted by her blue hijab, a scarf. As with her mother, only face and hands show, a sign of devout modesty in Islam that, accompanied by a lowered gaze, commands respect among believers. Sharen Hewitt stands nearby. She’s the Extra’s facilitator for our series of profiles of residents of TNDC’s remarkably diverse Curran House, 67 units of nonprofit supportive housing in an evolving block of the Tenderloin. Hewitt lives here. Nabihah Kaid did not allow her face to be photographed, in keeping with her Muslim faith. Nada, her sweet face the picture of concentration, interprets her mother’s replies to a reporter’s questions. She speaks fluently, quickly and intelligently, beyond her years, seamlessly adding her own comments to her mother’s Arabic. Despite seven and a half years at Curran House, Nabihah cannot speak English; she only knows a few words. Jamal, 45, head of the Kaid family, is away working. He’s lived in San Francisco for 26 years, but traveled frequently to Yemen. He was married and started his family there. Now he has six children: five live here at Curran House, and one is in Yemen, where more than half the population lives in poverty. Jamal sent money to his family in Yemen until he could bring them here in June 2006. A few days earlier, in the lobby of the Curran, the Extra’s reporting team first met the mother and daughter. News from Yemen, which was on the brink of collapse, was worsening. Nabihah’s mother’s house was cleaved in two by a bomb; luckily, no one was injured. Nabihah was distraught, Nada was agitated. Their relatives were in grave danger. Airports were shut down, ports were blockaded. Starvation was a daily threat. Nada is her mother’s guide and point person outside of the 22-year-old Islamic Society of San Francisco. 400 Muslims regularly attend the mosque at 20 Jones St., the largest of five in the city and the only one where the khut-bah (sermon) is in English. The mosque has a reputation for questioning old beliefs. Some years ago, it took the liberal step of removing the partition in the masjid (sanctuary) that traditionally separates men from women. Nada, who avidly reads the Quran, has been exposed to more assimilating influences than her mother, thanks to her fluency and the company of her cheeky, pubescent American classmates. The sidewalk swearing riles her father up. “He really gets aggressive,” Nada said. Her mother won’t even walk Nada’s youngest brother, Muhamed, 7, a block and a half to Boeddeker Park—widely accepted as a safe, public place for families. There is much to offend any young person, let alone a Muslim who aspires to become a high-level interpreter, or a chef, or a pediatrician. Those are dreams her parents encourage, but that would be unrealistic if she were in Yemen, where the literacy rate for women is 35 percent and barely more than a third of school-age children, even before the current troubles, attended secondary school. Jamal Kaid, weary from work, is relaxing on a couch in the Curran House lobby. He’s thin and handsome, with chiseled features, a trim mustache, and dark eyes that don’t avoid looking. He wears a fresh, long-sleeved, dark blue cotton shirt and crisp jeans. Jamal is the father of six: in addition to Nada and Muhamed, there's Bilal, 25; Jamil, 21; and the twins, Alma and Omar, 18. Except for Bilal, the whole family lives in a three-bedroom apartment on the fourth floor, with an open kitchen facing a small living room. Bilal is still in Yemen, trying to get out. The country is in shreds and Bilal is escaping with his pregnant wife, clearing roadblocks in a van with Americans who have a kind of diplomatic immunity, headed over the Arabian desert in 120-degree heat to Riyadh, Saudi Arabia’s capital. There, he expects to get papers to bring his family to San Francisco. Jamal doesn’t know what will happen when Bilal arrives in San Francisco with his wife. He would like to put them up in his apartment, but that would make nine people, and it’s against building rules. The Kaids have had an open road to citizenship, Jamal says. His grandfather was a U.S. navy captain who was killed in the Korean War. As a result, the U.S. government awarded U.S. citizenship to his grandfather’s family in Yemen. Jamal’s father came to San Francisco and got a green card in 1969; he soon had dual citizenship, dividing his time between the countries. Jamal first came to San Francisco to live with his father in 1989, doing construction work and odd jobs. The estimated 7,500 Muslims in San Francisco mostly drive taxis, work in blue-collar jobs, and own small businesses like grocery stores. It's a stark contrast to the highly educated Muslims in the South Bay, many of whom are ensconced in the tech industry. San Francisco is home to some of the poorest Muslims in the Bay Area: 39 percent earn $20,000 or less, according to the 2013 Bay Area Muslim study on ethnic and residential demographics. Arab ethnicity data doesn’t exist for the Tenderloin, where Arab organizers say Yemen has the most immigrants of all Arab countries. The first mosque in San Francisco opened in 1965 in Bernal Heights; the latest opened three years ago at 118 Jones St., a block from the Islamic Society. There are 84 mosques total in the Bay Area. In May, the Board of Education took one baby step toward inclusion: passing a resolution to explore offering Arabic and Vietnamese classes for K-12 students, starting in 2017. Jamal sometimes works ten or more hours a day, five or six days a week, doing maintenance work for a company he won’t name because it doesn’t pay overtime. He used to be a carpenter, he says, and dreams of having his own little business with a fine array of tools and a car or van for transportation. Jamal married Nabihah in Yemen in 1989, and when he brought her and their growing family to the U.S., they lived in an apartment on Geary before getting into Curran House. The fallout from 9/11 has added a stubborn stain of bias. San Francisco has been slow to stitch Arab culture into the city’s social fabric, though Muslims have had a presence here for decades with the Arab American Grocers Association, which counts about half of the Tenderloin’s 70 corner store owners among its members. Citywide, membership is shrinking. President Shakib Kaileh, who runs a small corner store on Union Square, says the association has 475 members, down from 650-700 a decade ago. Kaileh believes City Hall is “giving a free hand to big corporations” and chains, while increasing regulations and restrictions and boosting the minimum wage. All that, plus rising rents, are forcing corner store owners into other businesses, Kaileh says. Sometimes even well-intended efforts to include Arabs socially miss the mark, as with the double whammy that happened during the recent Ramadan, Islam’s holy month that rums from June 17th to July 17th. That’s when Muslims worldwide fast during daylight hours and increase their normal five-times-a-day praying. A kickoff party at Curran House, where there are three Muslim families, including the Kaids, also heralded the gay pride parade. TNDC circulated a pink, invitational poster: “Pride Ice Cream Social & Ramadan Celebration,” June 17th, 5:30pm to 6:15pm—a time when Muslims are still fasting. Moreover, the Quran prohibits homosexuality, with Yemen one of six Arab countries carrying the death penalty for gays. Muslim men, comprising 90 percent of Yemeni immigrants, appear to assimilate in the land of opportunity better than women, but there are some young women and girls who embrace education and find new and liberating pathways. When 18-year-old Alma, Jamal’s oldest daughter, graduated from Wallenberg High, she became the first female in his extended family with a diploma. She starts at City College in the fall, attending the reopened campus in the neighborhood. By contrast, Alma’s mother’s generation of Yemeni women exist in a swirl of often debilitating challenges, as Lucia Volk, San Francisco State University professor and cultural anthropologist, wrote in an article on the subject, “Feelings of Isolation and Distress Among Yemeni Women in San Francisco’s Tenderloin," six years ago. “A consistent theme is a strong sense of social isolation, both from the mainstream culture and other Muslims, including other Yemenis,” Volk wrote. The women's inability to speak English and their Yemeni clothing were barriers that set them apart. The loneliness, Volk said, caused fatigue, depression and weight gain. English-language classes and educating non-Muslims about Islamic culture were suggested as steps to alleviate these conditions. But Volk said she hadn’t a clue how to counter, in the short term, the issues of space and social isolation. Jamal at Cool Supermarket on Taylor and Eddy. Jamal, Hewitt and the Extra reporting team visited the Yemeni grocery at Taylor and Eddy to meet some friends of Jamal’s. Adal Altahami’s Cool Supermarket is a grocery and variety store rolled into one — fruit and vegetables (in an area soon to quadruple), toiletries, cigarette lighters, Giants t-shirts, and more. “You have to have everything, if you don’t have liquor,” which is prohibited in Islam, Altahami says. Even so, two of the four other Yemeni businesses in the Tenderloin are liquor stores; the other two are a deli and a deli-grocery. Jamal chats with Hashem Algahim, the clerk behind the counter, whose father is in Yemen. Nearby, Abdo Mohamed Ali Hussein, a recent arrival, seems to be waiting for something to happen. Hussein, 62, gaunt and homeless, is a short man whose English isn’t good. He indicates that he left Yemen a month ago, arriving in San Francisco, where his sister lives. Getting to America, he manages to say in English, cost $3,000, a king’s ransom. He looks exhausted. “Hard to me,” he says. “Hard time.” To bring his wife, son and daughter with him would have cost an impossible $25,000. Back at Curran House, the group takes the elevator to Jamal’s apartment. Inside, a boy from down the hall is playing with Muhamed. His mother is in the small kitchen with Nabihah. Alma and Nada sit on chairs playing with the boy’s kitten, Lucky. Jamal makes quick introductions and settles on the couch with the two boys. On one wall is a 20-by-20-inch poster showing Bilal, rollicking with Muhamed. The mom talks about taking food into SF General for Jamil, who has recurring health problems from being hit by a car. The Extra team is offered (and declines) sodas, then bread Nabihah baked, half-inch-thick brown discs of wheat the diameter of a large saucers. They're tough to bite through, but rewarding, with a nutty and tasty finish. Jamal took off work today to be interviewed by the Extra, and he is sitting in the lobby in his fresh shirt and jeans. He’s talking about his kids. It’s mid-July, and Ramadan is nearly over, meaning an end to the extra praying, fasting and reading of the Quran’s 114 chapters. In two days, it will be time for great feasting, and a resumption of normal days. “I’m not Muslim,” Jamal says. “I respect Islam. But why are Muslims always fighting?” He became a Christian about eight years ago. He wanted his family to be “the first Christian family in Yemen.” (According to Wikipedia, Yemen actually has about 3,000 Christians, among a population of around 26 million citizens.) But his wife wouldn’t buy it. His friends in Yemen could hardly believe it when he went with them to pray to Jesus at small mosques. "They thought I was faking,” he says. “They laugh. But I’m Christian because I believe in it.” He says he’d be in danger if he went back now, because Muslims are killing Christians and vice versa. “I don’t care if I sacrifice for Jesus. They can cross me," he says, referencing crucifixion. Jamal is a great admirer of Dr. Michael Youssef, the Egyptian-American televangelist with a 3,000-member ministry in Atlanta. He broadcasts in 115 countries, and one tenet he preaches speaks to Muslims and fundamentalist Christians—that homosexuality is immoral. On Sundays he goes to the Holy Virgin Cathedral, a Russian Orthodox church in the Richmond. It's a stunning edifice, with five domes covered in dazzling 24-carat gold leaf. The interior, lined with icons, religious paintings and mosaics, is illuminated by a voluminous chandelier, a contrast to the minimalist furnishings in the Tenderloin mosques. Jamal has dropped some of his Muslim ways. He’ll drink a beer occasionally (though nothing stronger), and he doesn’t fast alongside his family during Ramadan. He thinks it’s foolish. Jamal fits easily into the international fabric of the Curran House residency, and is grateful to be there. Everyone on the fourth floor is his friend, he says, expressing particular gratitude for Sharen. He also mentions his friendship with Lozano Listana, a TNDC employee from the eighth floor whose Filipino-American family was the Extra’s first diversity profile. Just then, Listana bursts through the door to the patio to say hello and shake Jamal’s hand. Then another TNDC worker, Ryan Thayer, community organizer of the Corner Store Coalition, comes over, too. “We’re all family,” Listana says over his shoulder as he goes back to work. Outside of Curran House, Jamal finds the neighborhood confounding. “Some people are nice, but outside the building is no good. The Tenderloin is poor people. They drink alcohol and lay down in the street. Drugs everywhere. But they are victims. I asked one why he takes drugs. He said he had nothing and no one, and did it for the pain. But nobody tries to hurt me or shoot me. Not one." "At work, I have my backpack and I know [the other workers] need money, and nothing is taken. On the street they say, "Hi, brother,’ and shake my hand. They think I am Muslim. All the homeless know me. I ask my wife, 'Please make some food for them.'" She did. Jamal reveals his life has taken a lamentable turn. Nabihah, he says, has left him. He is pretty sure she took Alma, Nada and Muhamed with her, to live with her father in Detroit. No note, no communication. “And she took all my money, every cent. Left nothing." She even emptied their savings account, which was considerable. Last year, a speeding police car chasing a drug dealer on the lam struck Jamal in the middle of the Leavenworth & Turk intersection. He sustained bruises and a bad arm injury, and was taken to a hospital via ambulance. The arm has since healed, and in December, he received a $40,000 settlement from the city. That, or what remained of it after six months, was intended to be the nut to kick-start his carpentry business. He figured she would give much of the money to her father and other Yemeni relatives in Michigan, to help them along. He didn’t know when she would come back. She wasn’t answering her cell phone. Jamal is off today, because his work was shut down for a wedding in his boss’ family. With his wife and life savings gone, losing income comes at a bad time. “I can’t pay the rent,” he says. “I’ll get a notice.” He looks worried. Earlier, in the community room downstairs, he had picked up food from the weekly Food Bank pantry drop: a dozen eggs, two pounds of spaghetti, a big sack of potatoes and a bag of vegetables. He lugged them upstairs to his apartment. Here, he even has fine Yemeni cuisine nearby. One restaurant at Sutter and Hyde just changed its name to Arabian Sky, after six years as Yemeni’s restaurant. “People didn’t know what it was,” says chef/owner Musa Amin. “They’d say, ‘What’s Yemeni?’ and pass it up.” Arabian Sky has broader appeal, hinting at Ali Baba, he says. “Once inside, we tell about Yemeni food. Americans want something authentic.” A popular choice is saltah, spicy baked vegetables with lamb sauce, served in a clay volcano pot. Amin admits his claim of being the only Yemeni restaurant in California—according to a sign posted outside by the door—is now outdated. He says there’s one in San Jose, and, his former co-owner and good friend, Abdul al Rammah, opened a hole-in-the-wall Yemeni restaurant two months ago, at 219 Jones St. It barely has room for three tables and three stools at a tiny counter. Roast lamb is the top choice of his customers, Al Rammah says. Jamal drops in whenever he’s got a little extra money. After depositing his take from the pantry, Jamal took the elevator to the roof garden, finding a seat at a table in the middle. The garden was all around him: two dozen silver metal tubs exploding with rich green herbs and vegetables, a virtual Garden of Eden that excited him. “I miss her, but the devil is playing with her mind,” he says. Nine days later, Nabihah is still in Detroit and Bilal is still in Riyadh.